One of the habits that I’ve been trying to get myself into recently is taking off every last bit of my eye makeup off every night. No excuses. No matter how hard I try, I will think I’ve got all my makeup off but by the morning I either wake up with panda eyes or have lovely lash prints on my pillow. My eye area is extremely sensitive so I try really hard not to use any sort of face wash or drying products in my eye area. Instead I’ve tried different oils, makeup removers and even vaseline to help me out, but none of them have been amazing enough to remove my daily war paint completely. I’m on the hunt for an incredible eye makeup remover that doesn’t make me compromise on looking after my delicate skin. To add to my list of reasons I’m being extra fussy is that I wear contact lenses too so I’m even more careful about the things I use on and near my eyes. Nothing worse that dry eyes when you’ve got your lenses in! Recently I met up with a friend that I used to work with at a department store. After explaining my panda eyes problem, she gave me a trial sample of Clinique’s Take The Day Off Makeup Remover for Lids, Lashes & Lips. She explained that this makeup remover was made for stubborn makeup and very safe for contact lens wearers. Skeptical, but still curious, I decided to try it out. The packaging reminds me of those bottles that you get cough syrup in. The anti children lock cap does get quite annoying especially when all you want to do is quickly remove your makeup and get into bed after a long hard day. Although, I am glad that I can take it in my bag without worrying that it’s going to spill all over the place. Contrary to some reviews I’ve read online, this cleanser doesn’t actually contain any oil in it. It is in fact silicone based. This is why it’s non greasy and one thing I will say, is that I’ve finally found a product that says it’s gentle on your skin and actually is. It didn’t irritate my eyes at all and I’ve even used the makeup remover with my contact lenses in. It didn’t leave my eyelids feeling greasy either however sometimes I feel like there’s a slight film or residue left on my eyelids. For this reason I prefer to use the eye makeup remover before washing my face. 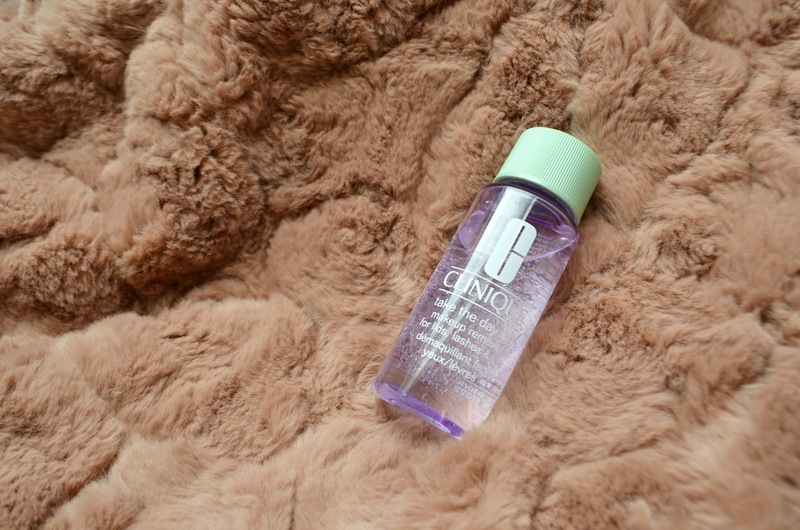 I’ve really found it really works for me, especially since double cleansing is usually always necessary for makeup wearers and breaking down the eye makeup beforehand works wonders for me. The product is fragrance free, which means no unnecessary added chemicals in it either. All in all I really enjoyed using the cleanser. It did what I needed it to do but my only other small gripe is the price. £17 for 100ml is a little bit much. If you can afford to splurge than I’d say give it go, it’s pretty good. 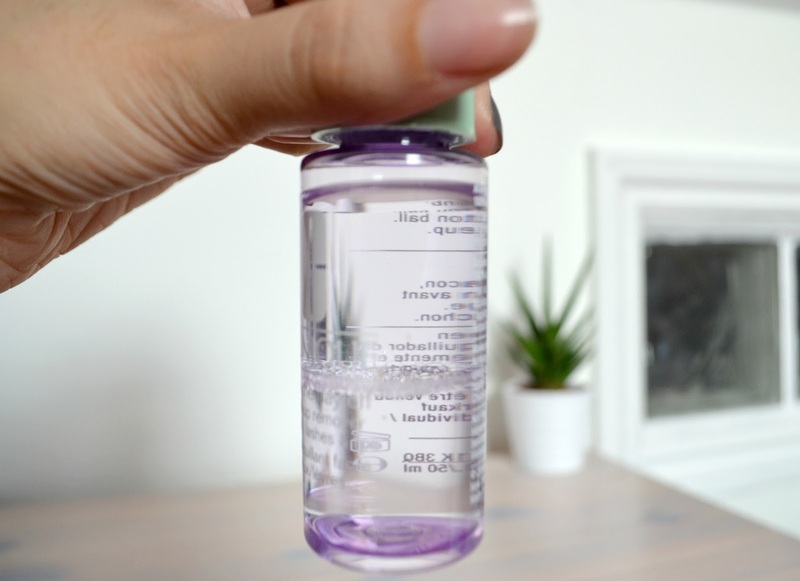 It doesn’t remove makeup completely as some may have you believe, however it does enough to break down waterproof and stubborn makeup so when you’re in the second phase of double cleansing, it all comes off easily.